occurs in a few places inland. 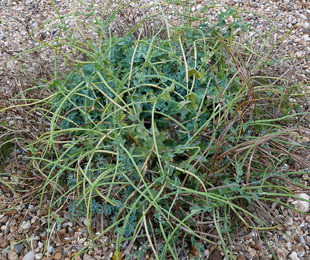 perennial (or biennial) herb, growing up to 90cm. 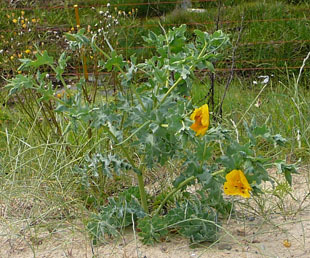 Flowers are 6 to 9cm with 4 overlapping yellow petals. 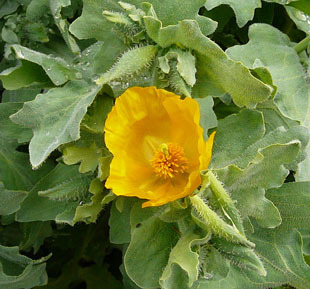 The sepals are grey and roughly hairy. 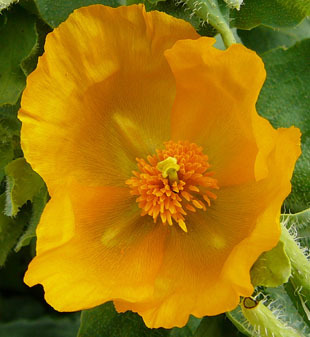 There are numerous yellow stamens. 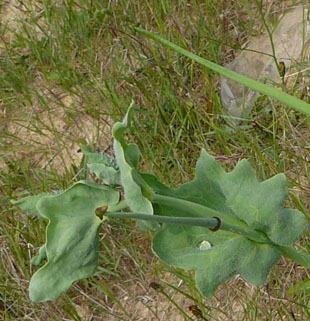 the long, curved capsule or horn (up to 30cm). 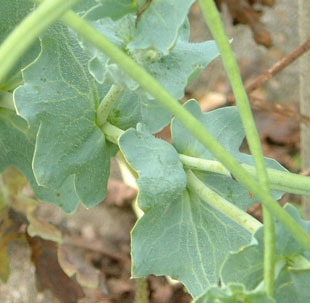 the stem and lower leaves are stalked and divided. 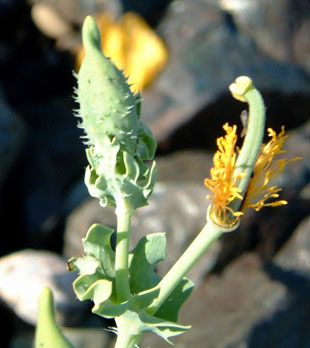 The stems exude a yellow juice when damaged.